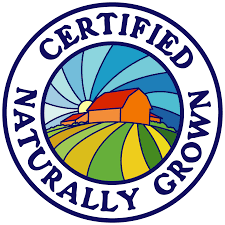 We order non-gmo and organic seeds, many being heirloom varieties. An heirloom seed is seed from a plant that has been passed from one generation to another, carefully grown and saved because it is considered valuable. The value could lie in its flavor, productivity, hardiness or adaptability. Many heirlooms have been grown, saved and passed down for more than 100 years. Some have history reaching back 300 years or more. To have been saved and preserved for so long, these seed varieties have shown their value to many people and families for an extremely long time. Open-pollinated is another term sometimes used interchangeably with heirloom. They do not mean the same thing, as an open pollinated seed is simply a variety where the seed can be harvested from the plant, saved, replanted, and the same variety will re grow year after year. This is how we have the heirloom varieties that we have today is because they are open-pollinated. All heirloom seeds are open pollinated, but not all open pollinated seeds are heirloom, as there are new open pollinated varieties being introduced that are obviously not old enough to be considered heirlooms.